We’ve been woking with the people at Baiting Hollow. Take a look at this offer from Barry Beil. I would like to personally invite you to experience Baiting Hollow Club, a member’s only club located on the pristine North Fork of Long Island. We offer reasonable private club memberships for those who do not wish to be tied into an equity club with a steep initiation fee. Come enjoy a tour of Baiting Hollow Club and arrange a free round on me. Please call me now at (631) 369-4455 to schedule a time to meet. Includes lunch. Learn the basics and fundamentals of golf while having a great time. A 30 minute break will given for lunch. The choices are 1 hotdog or chicken fingers with a bag of chips & a fountain beverage. 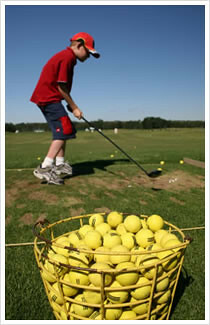 Send your child over to our facility to experience the challenge and pleasures of golf while acquiring the fundamentals. The children will play on the golf course every day! Leave home address so they can mail you a registration form. The Basic Program– is for boys and girls ages 5-14 that are generally new to the game, and that need training in all areas and fundamentals of the game. Safety, rules, and etiquette are also stressed. The atmosphere is fun, as students will be challenged with various types of games and contests, as well as introduction to the Golf Course. The Club Division– is for those students who have gone through a basic program at least three times and are ready for organized play on the golf course. Advanced levels of instruction, rules, etiquette along with safety and sportsmanship is the focus of this program, as students play various types of golf formats on the golf course. Cost: $325.00 for the basic program. $350.00 for the club division, which includes cost for greens fees. Cash or check only accepted for this program. Registration: Juniors will be accepted on a first come first served basis to ensure manageable teacher / pupil ratio. (approx 8-1). Call early to reserve a spot, as classes are limited. The dates are flexible and make up clinics are available on a limited basis to help accommodate any family vacations. Registration can be done at the Dix Hills Park Pro Shop. 525 Vanderbilt Pkwy. Dix Hills Park. Any questions please feel free to contact us at 631-499-8005. Website Link. Long Island Driving Ranges and Practice Facilities – We got the full list… check it out here.